A fairly new piercing from our collection and already immensely popular. Opal stones are a trend that is likely to persevere for a while. 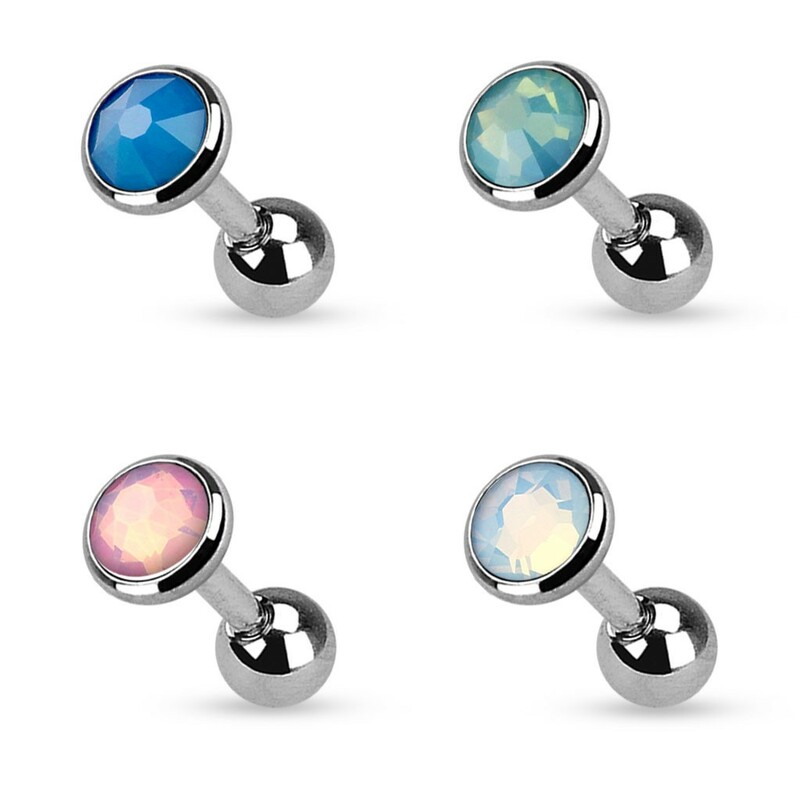 The matte look of the stones combined with the colours you can choose from makes that this piercing is high in demand. Although the title might suggest that this is purely a tragus piercing it can be worn elsewhere. Due to its minimalistic design and the thin short bars makes them rather universal. If you like to keep (inter)changing piercings you will have no problem coming up with places on the ear of body this piercing will stand out. Did you know a similar piercing is available in the colours gold, rose gold and black?